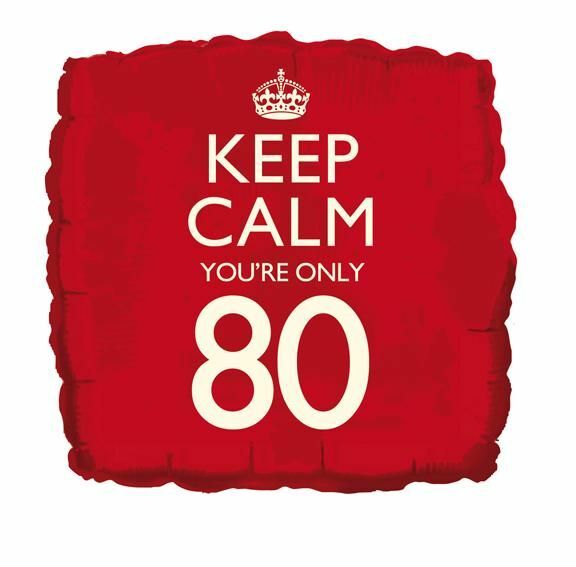 This fun Keep Calm You're Only 80 80th birthday foil balloon is ideal as a gift or to decorate your celebration venue. Requires helium filling. Foil balloons require no tying as they automatically seal once filled with helium. They last on average 3-5 days and can be refilled. In a cold draught they may slightly deflate but once warm and draft free they usually plump up again. 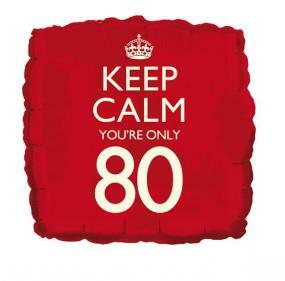 Don't forget to buy ribbon and weights to secure the balloon.